A total eclipse of the heart sun. There's one at the end of the week, visible in the northern Atlantic, and I almost signed up for a trip to the Faroe Islands to see it, before I got a chance to go to Iran in April instead. 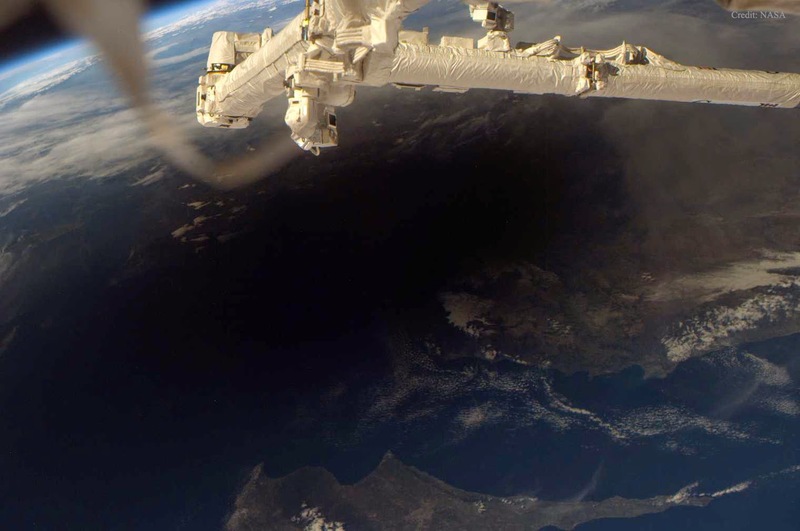 The view in this photo is something I wouldn't have seen in the Faroes -- a total eclipse as seen from the International Space Station in 2006. (That's Turkey under the cloudy sky to the right, and the island at the bottom is Cyprus.) No wonder eclipses have always inspired as much terror as fascination -- there's something very creepy about that shadow. It's like some kind of smoke monster, eating the light.